Watercolor and canvas painting stress relief activity. 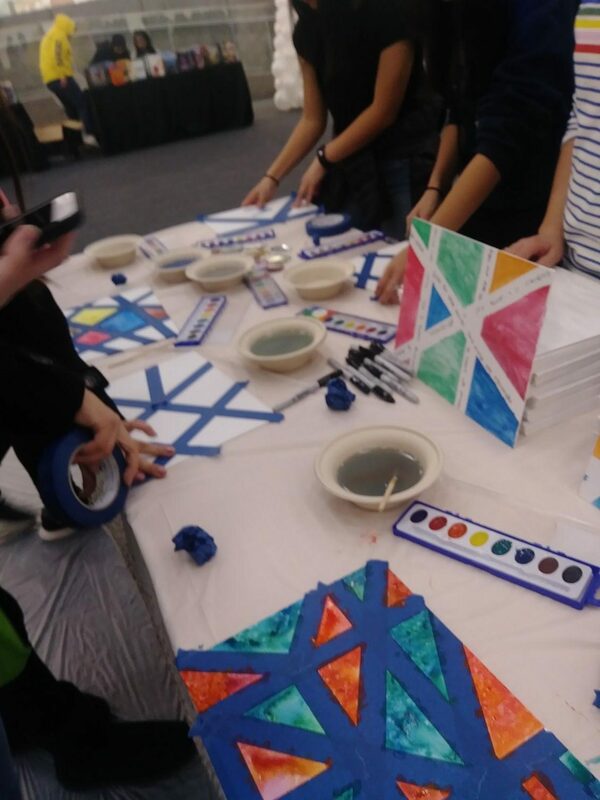 The well-known Central Library was decorated with balloons, streamers and glitter galore on Feb. 8, as participants were welcomed by friendly volunteers and staff members, who gave each person a drawstring bag filled with goodies and complimentary tickets for food. 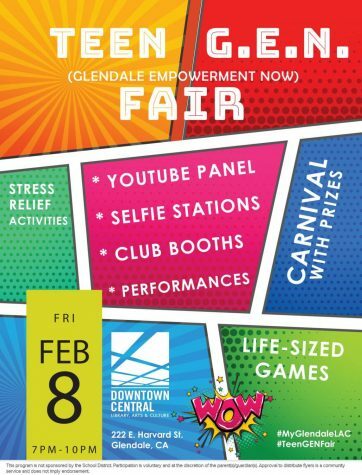 The Teen GEN (Glendale Empowerment Now) Fair at the Central Library provided about 50 Glendale teens an opportunity to relax with upbeat music and several stress relieving activities, including watercolor painting on canvases, playing carnival games with prizes, and watching a live KPOP dance performance. 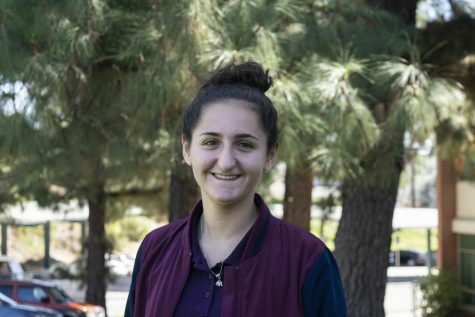 Luz Perez, a junior from Glendale High School, enjoyed both activities as well as the opportunity to make new connections. 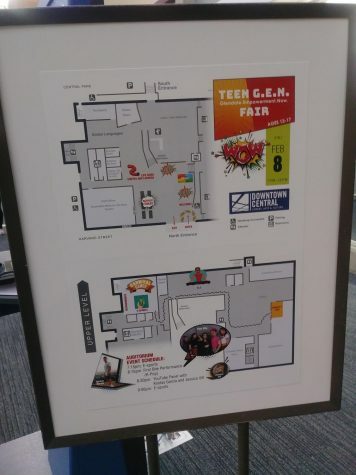 The poster for the Teen GEN event. “Don’t do it for the numbers or for fame [because] YouTubers need to have a lot of passion and patience about what they do,” Vill said. In terms of talking about general advice for teens, the two agreed that it’s always content before quality. “Bring value to your audience,” Garcia said. “If you can tell a story in a unique way, you’ll have success.” Vill’s advice was also to hold on to original creative content as much as possible. 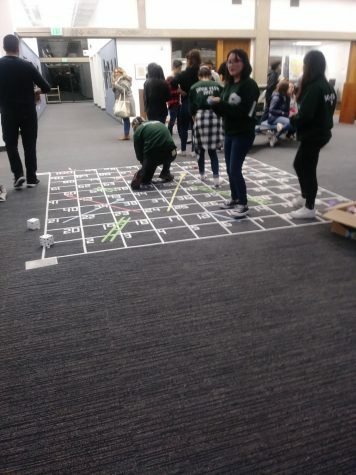 Board game activity at the fair. Map of the library, indicating all activities and where they were.